Delair, one of the top suppliers of commercial drone solutions, recently introduced Delair Aerial Intelligence (delair.ai), the industry’s most wide-ranging platform for changing drone-based images into actionable commercial insights. 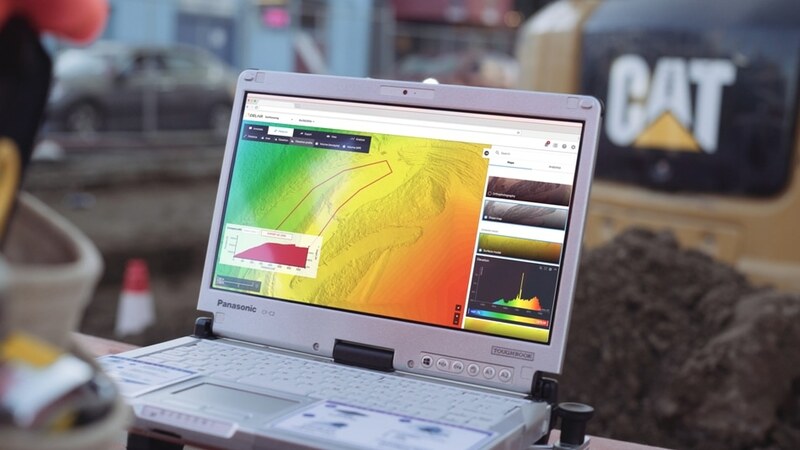 The new cloud-based solution offers a broad integrated and user-friendly workflow to manage, examine, and share data, streamlining the process for unraveling the real potential of aerial surveying. Industry-optimized analytics for particular industries and use cases in power and utilities, mining, construction, quarries, and agriculture enable more precision and accuracy to deliver bottom-line advantages to a broad range of businesses. The hardware-agnostic system strengthens Delair’s position as the pre-eminent supplier of enterprise-class software solutions for the UAV sector. Developed on a foundation of six years of internal software development efforts, and following its acquisition of Airware’s software platform and development team in 2018, Delair, at present, has the biggest team of software developers dedicated to drone data management. The company provides the most scalable platform and the widest portfolio of analytics to enable enterprises to execute a digital transformation of their assets so as to utilize the power of data gathered by drones of any type. Michael de Lagarde, CEO, Delair. “Early on, we recognized the need to acquire greater amounts of accurate, repeatable data from the air that could be easily accessed and analyzed for improved operational efficiency,” said John Blackmore, mapping and survey supervisor at Luck Stone, the largest family-owned and operated producer of crushed stone, sand, and gravel in the US. We are excited about the additional benefits of the Delair Aerial Intelligence platform, which allow our associates to access the information faster than ever before and analyze the data to make better decisions for the company. John Blackmore, Mapping and Survey Supervisor, Luck Stone. The Delair Aerial Intelligence platform offers a robust set of tools for visualizing, measuring, and storing data. Intuitive commands enable users to visualize a site in 2D or 3D and include support for orthophotography, digital surface models, slope maps, and 3D models. Measurement is made fast and simple with integrated toolsets for calculating length, calculating stockpile volumes, or establishing an area size. Real-time collaboration is facilitated in the platform through annotation features, integrated conversation threads and immediate notifications from team members. It permits drone data to be overlaid with other geospatial data, supporting prevalent commercial formats, and allowing data to be easily exported to a range of industry-standard software suites and reporting formats. The Delair Aerial Intelligence platform supports the biggest suite of analytics packages for definite applications in various industries. For instance, the analytics for quarries and mines allow effective ways to manage and report on inventory, ensure site safety compliance, and improve and maintain haul roads. In the case of construction projects, analytics tools are offered to track the progress of a task and earth moving operations, import and compare survey designs to as-built. Precision ag practices are facilitated with the analytics options for forestry and agriculture. Tools are available to carry out comprehensive analysis of fields, and runs filed inventory to characterize crops and check them. For power and utilities, use cases analytics can categorize point clouds and vectorize conductors, examine vegetation growth and rank maintenance activities based on urgency. For a number of years, Delair has amassed thousands of flights and generated tens of thousands of analytics. This judiciously curated database has been used to train custom deep learning models to automatically categorize each pixel of each new flight, and identify objects or classes such as vegetation, vehicle, quarry face, construction, water, stockpile, safety blocks, haul road, safety berm—excluding hours of manual analysis on a large site map. The cloud-based approach of the system streamlines data storage and access, making it suitable for team cooperation and archiving. The platform is integrally scalable, supporting the use of numerous UAVs and data collection methods. An unrestricted number of projects can be stored and shared, offering access to critical data by anyone who wishes it across the enterprise—managers, risk engineers, field adjusters, surveyors, data scientists, and accountants. Delair Aerial Intelligence is constructed to support enterprise-strength security and privacy. Integral features enable data to be encrypted in transit and within the platform and granular role-based controls offer user-specific access and editing rights. Audit trails offer a complete record of all the actions of all the users. Delair.ai exposes standards-based and documented APIs and an SDK for progressive integration of the solution with customers’ IT infrastructure. Elaborate workflows can be easily executed, and delair.ai analytics can be exported to CMMS, ERP, or FSM software. While Delair Aerial Intelligence is well-matched with any drone-based data, it delivers even more efficiency when coupled with the Delair UX11 high performance UAV. Buyers of the Delair UX 11 will be given a complement of credits to be used on delair.ai as part of their package. Delair offers its delair.ai capabilities via an advanced and flexible pay-as-you-use model. Pre-paid credits can be used to operate several analytics on the platform, with a minimum purchasing quantity of 10 pre-paid credits. The platform can be utilized by an unrestricted number of users, does not need any sign-up fee or commercial engagement, and comprises of free data storage for the first year.